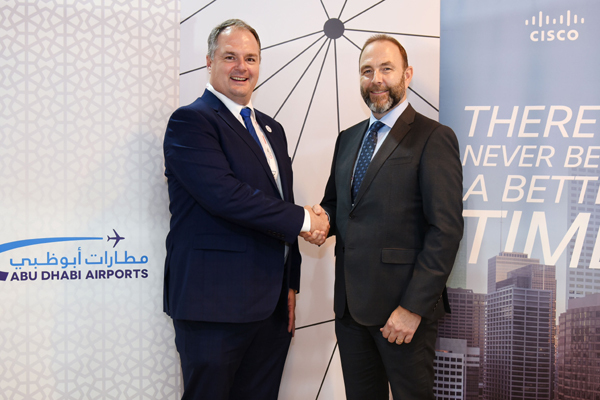 Abu Dhabi Airports is looking to take the UAE capital's airport into a new era of digitisation with the signing of an agreement with Cisco for commercial benefits on its solutions. This agreement highlights Cisco’s commitment to collaborate with ADAC on its vision to build the airport of the future by delivering world-class airport services and infrastructure. This collaboration will help Abu Dhabi Airports to enhance the digital capacity, operational efficiency and customer experience of the UAE capital’s airport. Additionally, Cisco’s solutions and IoT portfolio will help Abu Dhabi Airports to securely connect devices, analyse data, and deliver business value to its customers and partners.